Last updated 28 March 2018 . By Sarah Bartlett. Virginia K Stevenson, Hettie G Watson, Emily B Kingsley and Benedict Pike. No, these are not millennial Cluedo characters, but they sound like an eclectic bunch, right? These names belong to the restaurants of The Lost & Found, each one with its own intriguing story (along with an enviable Instagram account). With ‘Virginia K Stevenson’ having been established on Leeds’ Greek Street for some time now, a new professor has just been introduced into the mix; we went along to meet the charming Benedict Pike. The historic Leeds Club on Albion Street is now home to the mythical legend of Professor Benedict Pike, an intrepid chemist who became lost in the South American jungle. It’s hard not to be impressed when you walk through the door - tall ceilings, creeping foliage, apothecary bottles and even tasteful brass monkeys can be found within. Downstairs you’ll find the bar with its low-hanging bulbs and well-stocked shelves. Like something from Jumanji, the Grade-II-listed building clashes man-made with nature. 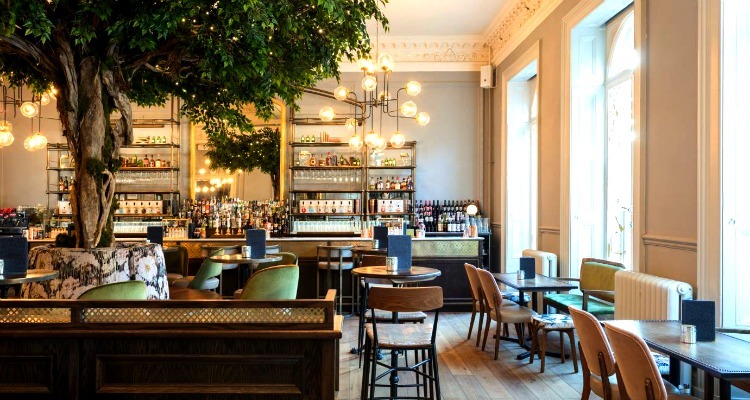 Beautiful corniced ceilings and period details, such as towering windows, go almost unnoticed as a towering tree stands loftily in the centre of the room - try and grab a table under it for a surreal dining experience. Nature meets history in the latest Lost & Found outpost. Once seated in the dining room upstairs (on surprisingly comfy seats, might I add), surrounded by palms, it’s hard not to be tempted by an exotic cocktail. Choose from either ‘Lost’ or ‘Found’ signature concoctions - ‘Highland Bloom’ (£8.25), ‘Bay of the Beast’ (£8.95) and ‘Fine and Dandy’ (£8.75) are just a few to excite the taste buds. So onto the food menu; there’s no set cuisine but the choice presents something for everyone, including dishes cooked in a Josper charcoal oven for fancy-pants steaks and selected others like sea bream and charred chicken tikka. With three courses ahead of us we opted for a light starter of glazed Harissa aubergine with garlic yogurt and toasted seeds (£7), and a more traditional ham hock and pea terrine (£7). Both dishes looked as good as they tasted, with the seeds crunching against the earthy aubergine, and zingy pickles sharpening the terrine. The Josper and its promise of an authentic smoky flavour was enough to draw us to the 8oz fillet steak (£24). Accompanied by chunky chips, seasonal veg and homemade peppercorn sauce, it was a hearty portion size. Sides have to be ordered separately, pushing the price up, but keep an eye on midweek deals which can include up to 50% off the Josper dishes. Now don’t expect to come to The Lost & Found and get a run-of-the-mill brownie for pudding… Benedict Pike’s adventurous spirit really comes to life in the dessert menu. If you’ve got room for something sweet, there are some really inventive ‘deconstructed’ delights that are worth the £7-8 spend. We opted for the passion fruit cheesecake (£7) - a great bet if you’re wanting something a bit lighter - but if you’re looking for something downright indulgent then definitely go for the millionaire’s shortbread (£8). Not only does it look completely Instagrammable, the combination of textures from hot dark chocolate ganache to crunchy honeycomb and all on a bed of chocolate shortbread crumb is pure heaven - still not enough?! You can also add a paired tipple to your dessert for an extra £2-3. 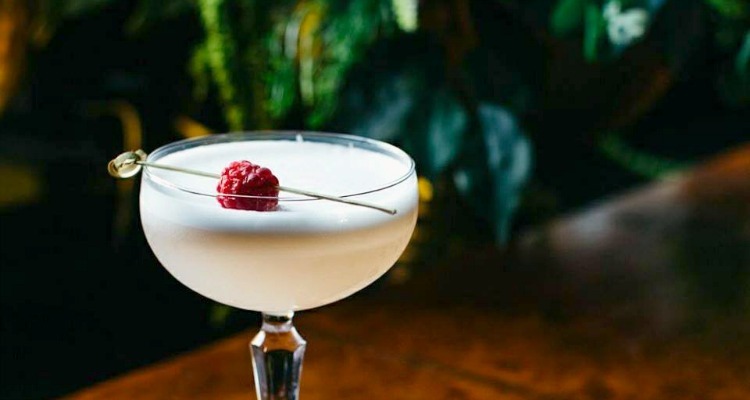 It's not just the interiors that are gorgeous, Lost & Found's cocktails come pretty as a picture. If you’ve already visited The Lost & Found on Greek Street, you might be wondering what the hype is for its Albion Street cousin. I think what sets this chain apart though is the whole ‘professor’ back story to each location - embrace the narrative and enjoy the vibe. The Leeds Club spot is perfect for this sort of affordable ‘extravagance’, especially when everyone’s new favourite weekend activity is on the cards - bottomless brunch! Not to mention afternoon tea, gentleman’s tea and a secret jungle garden room open on weekends… Professor Pike’s adventure awaits!